This mod will bypass the "Press Any Key To Continue" screen, and bring you straight to the main menu. 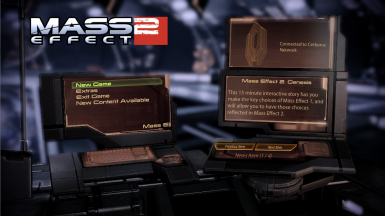 Replace Mass Effect 2\BioGame\CookedPC\EntryMenu.pcc with the downloaded file. Backup the original first, in case you don't like what this mod does. If you have the ME2Controller mod, download that version instead, and install it after ME2Controller.